It can be a little tough at first to find the sweet spots on Base Station in order to charge two devices on the wireless pad simultaneously. 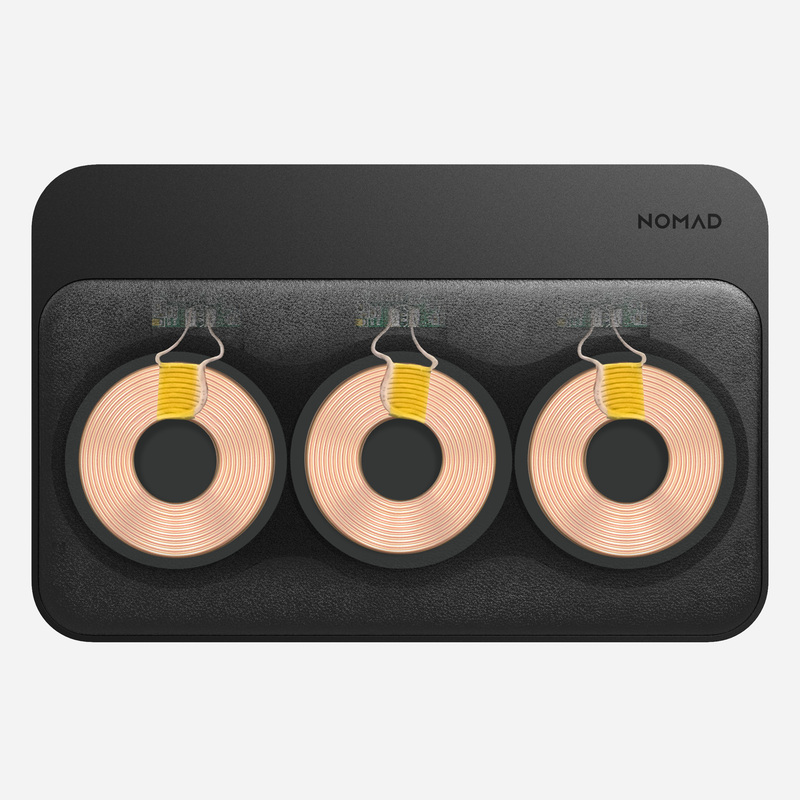 We have created the coils inside the wireless charger with a relatively small radius. This can make finding the charging spot a little harder, but it makes wirelessly charging much faster and more efficient. The larger the radius of the coils, the larger the loss of charging speed and efficiency. This is because you can place your phone down on the larger coil, but because it may be farther off center it will only charge at 50% of full speed. With the smaller coils inside the wireless charging pad, once you place your phone on the right spot on the pad, you can be sure your device is charging at 7.5W. After finding the spot a few times, it will become second nature to place the devices in the correct spots to charge two devices at once. 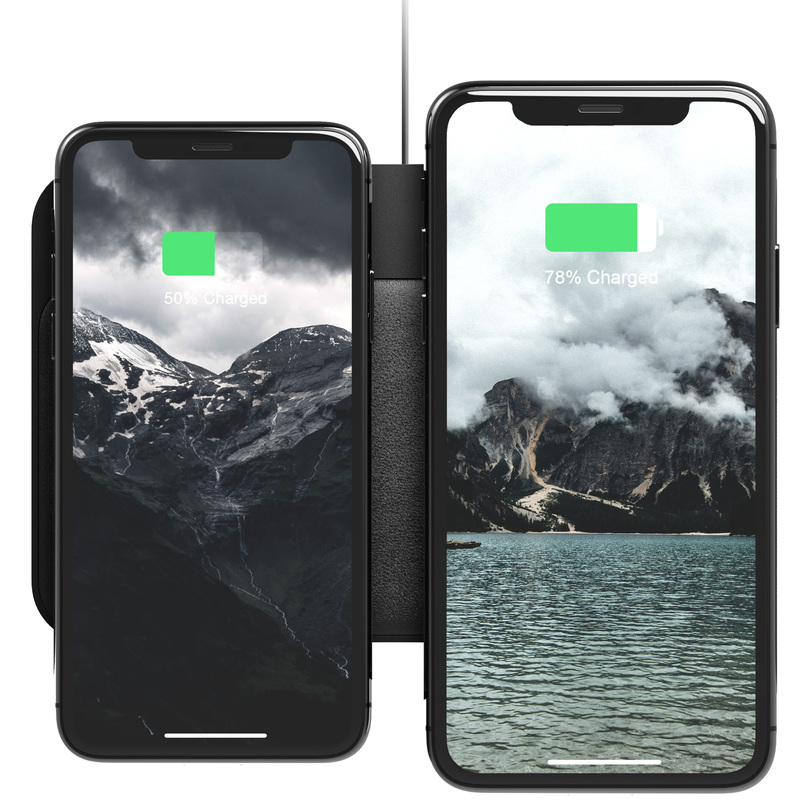 In order to charge both phones simultaneously on the Base Station you will want to align each phone on the outer short edges of the charging pad. The charger includes 3 internal charging coils, one in the middle for horizontally charging one phone, and two on each side for vertically charging two devices together. Try aligning the phones so that there is about a 1 inch gap between them and the edge of each device hangs off the side of the pad a bit. The picture below shows the correct alignment of iPhone XS on the left and iPhone XS Max on the right.